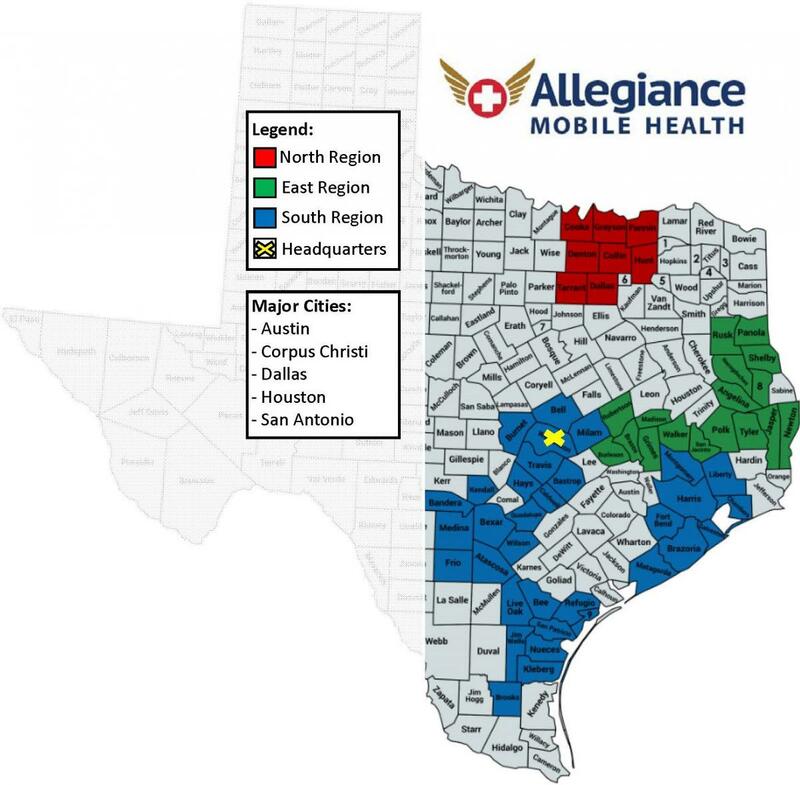 Allegiance Mobile Health provides mobile health care solutions to over 15 million residents covering urban, suburban and rural areas. Additionally, Allegiance currently provides peace of mind to nearly half a million residents to whom we provide 911 services. Our stations are strategically located in over 25 locations accross the state to provide fast, reliable service to our patients and customers.